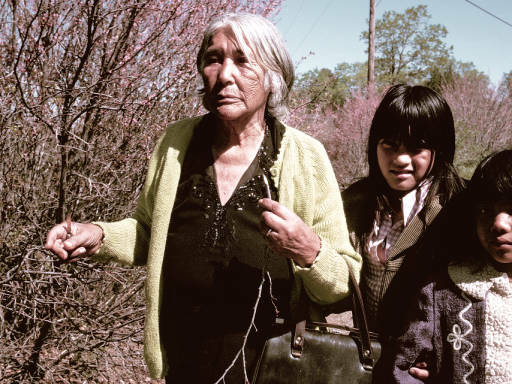 Dorothy Morehead Hill and her associate Robert Rathbun began a series of professional collaborations interviewing a group of Native American Elders and documenting the culture, language and life of Northeastern California's Native American tribes and families in the early 1960s. They proceeded, both separately and together, for the next 35 years adding to their work using tape recorders, video and still cameras and documenting what they called “California Native oral traditions” throughout parts of Mendocino, Lake, Yolo, Sonoma, El Dorado, Placer, Amador, Mariposa, Nevada, Sierra, Yuba, Plumas, Butte, Sutter, Colusa, Glenn, Trinity, Tehama, Humboldt, Shasta, Lassen, Siskiyou, and Modoc counties. Ultimately, they collected and produced mountains of data.